I recently updated my Unreal Engine to version 4.6 and wanted to build the lighting for my level again. I noticed that when I build my light in version 4.6 it gives me weird lightbleed through the edges of the static meshes that are affected by the light. 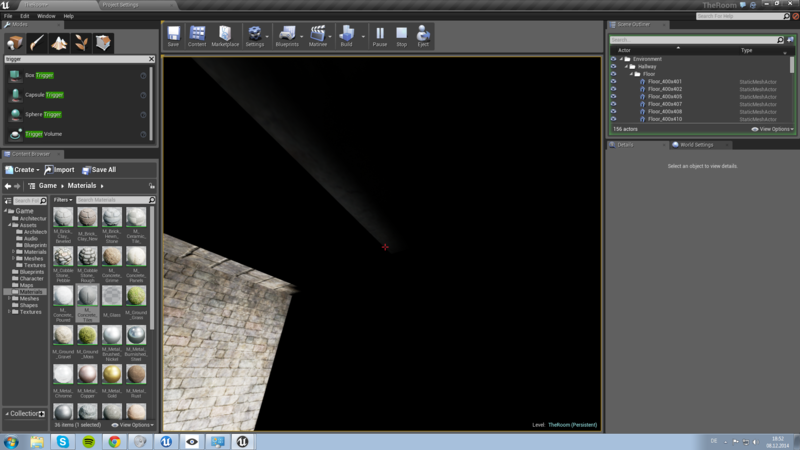 Is this a misconfiguration on my part or is this a bug with the Unreal Engine? The things to check when looking for reasons for light bleed would be to start with building lighting on Production vs preview and if you're still having issues then next you would want to check the lightmap resolution and lightmap UVs are setup properly. Give that a shot and let me know. light mass crashed how to fix it? Swarm Agent failed to kick off, tried everything. Why?!?!? !